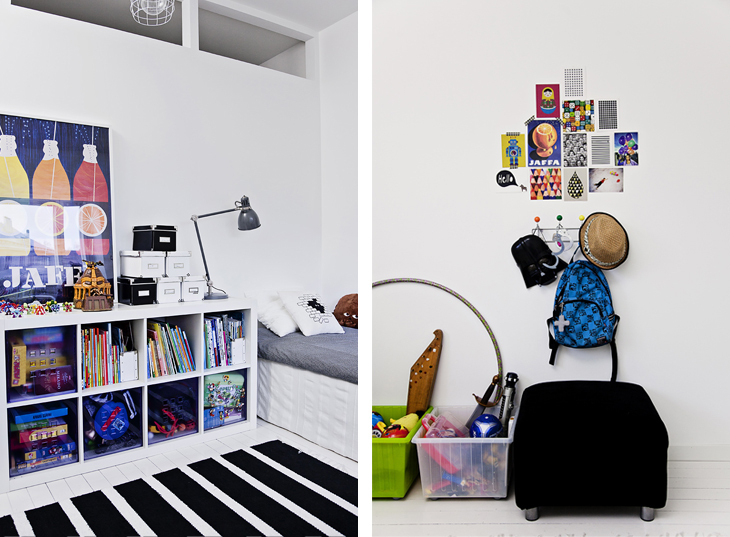 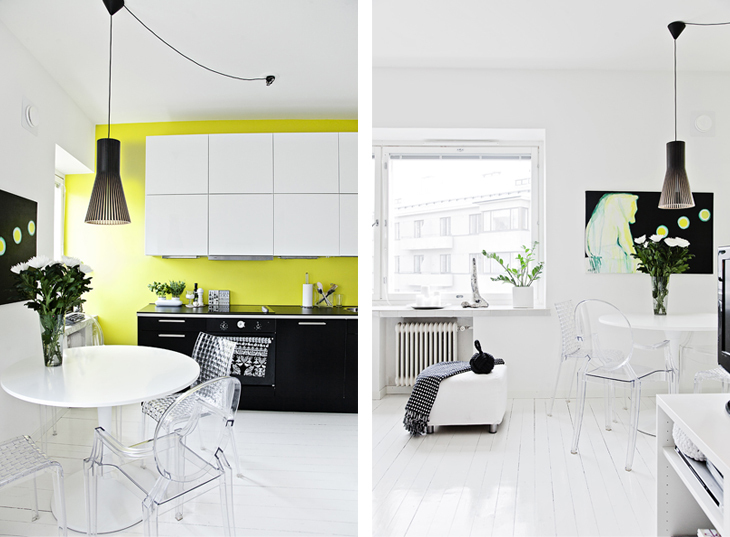 Here I go again posting another cool scandinavian apartment! 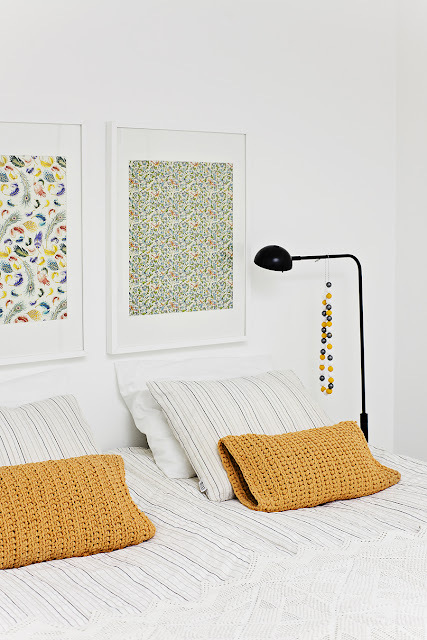 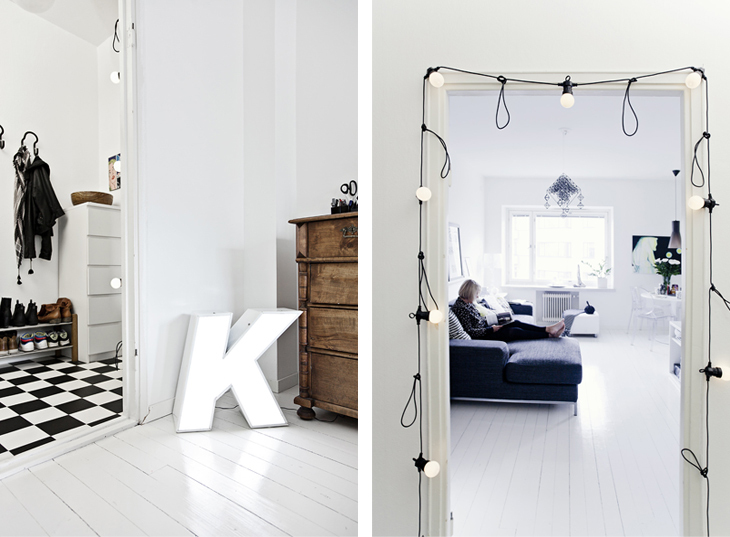 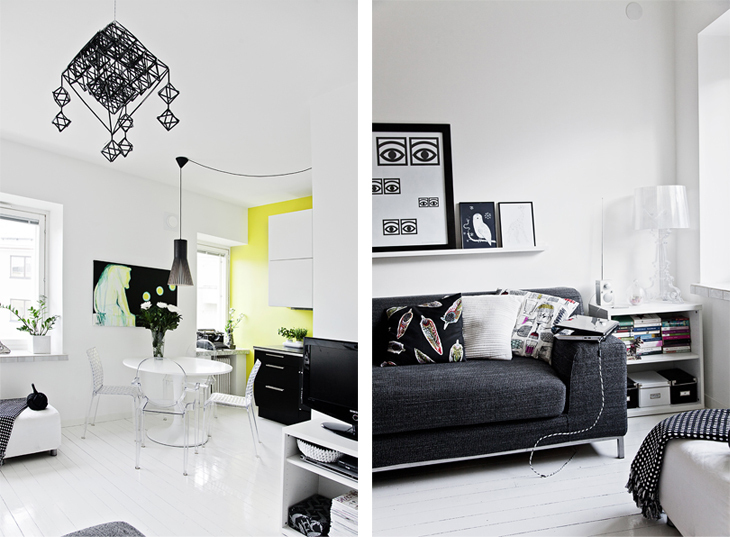 Lots of white, bit of black and grey, some yellow on the one side, some orange on the other, little bit of purple in a corner and a couple of vintage furniture are stylishly combined in Laura's apartment, blogger from Helsinki. 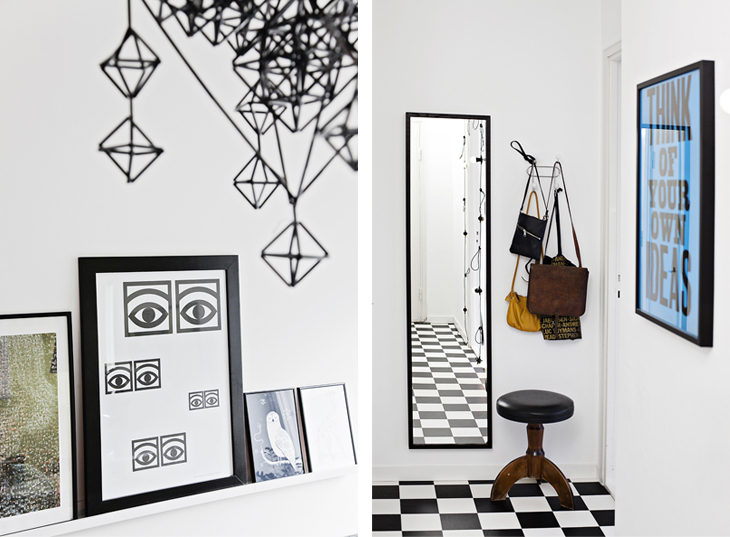 I find the whole apartment lovely but I really like the diamond-shape mobile in the living room and the poster from a Warhol's exhibition in Sweden (don't ask me why, I just like framed posters from exhibitions, concerts and events in general)!